Take great living outside, in absolute comfort. Soaring screened family rooms, perfect for entertaining or just hanging out, cooled by ceiling fans or warmed by the fireplace. Fully-stocked outdoor kitchens, perfect for barbecuing for family and friends, sheltered from the weather. 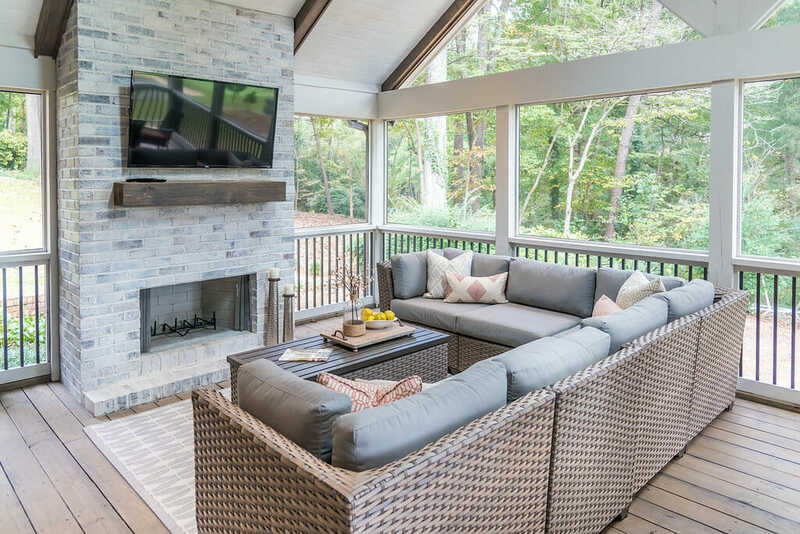 Add multi-tiered decks with built-in seating and planters. There’s no limit to what we can do in the great outdoors. Space for dining, hanging out, watching a game, all under a soaring roof with ceiling fans for lazy summer days, and a fireplace to warm chilly nights.